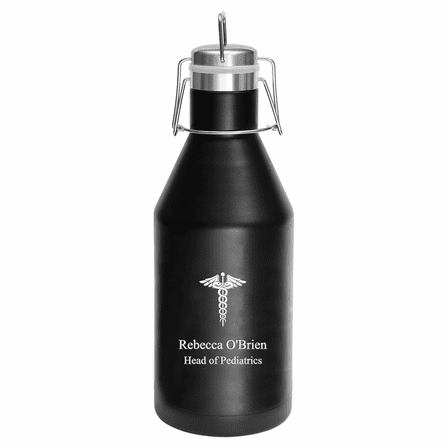 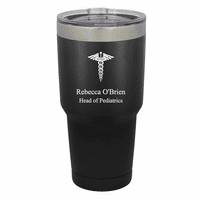 A wonderful gift for recent graduate from nursing or medical school, or for your favorite doctor or nurse, this black-matte stainless steel growler is practical and sure to be appreciated! The growler holds 64 oz of a favorite beverage, has a swing top lid with small handle, and has double wall construction that provides 2X heat and cold resistance The laser-engraved Medical Emblem will match free personalization of up to 6 lines of text, creating a one-of-a-kind gift. The growler comes packaged in a gift box!